Decorative loop for a fireman's belt. 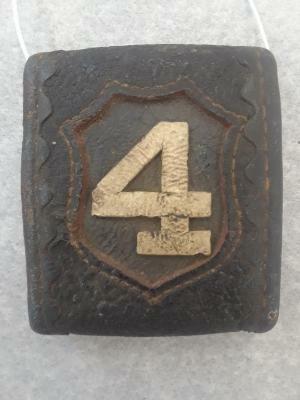 Black with white "4" in decorative leather work on front. Black scalloped trim with top stitching. Sewn together in back. Decorative loop for a fireman's belt. White with red "7" painted on front. Sewn together clumsily in black. Red painted scalloped edges. 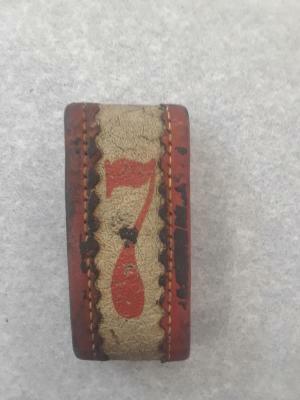 Decorative loop for a fireman's belt. 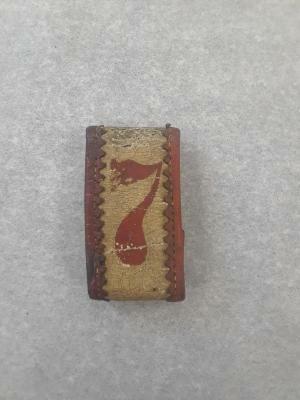 White with red "7" painted on front. Red scalloped trim. Sewn together in back. Decorative loop for a fireman's belt. 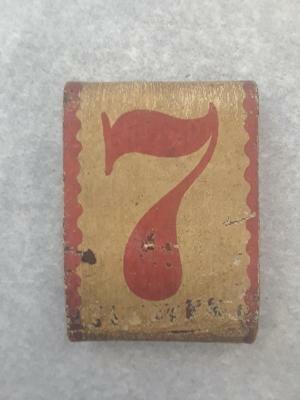 White with red "7" painted on front. Red scalloped trim. Sewn together in back with two different types of thread.